The last week or so, my friends and family have been asking about shower dates, locations, and themes. I have a wonderful group of friends who all want to help my mom plan a shower locally and my aunts up north are going to plan one for family that lives farther away. I’m leaving the out of town shower up to my aunts, but I’d like to be more involved in planning the local shower. I love planning parties – especially the decorations – so why not join in on the fun with my own shower? 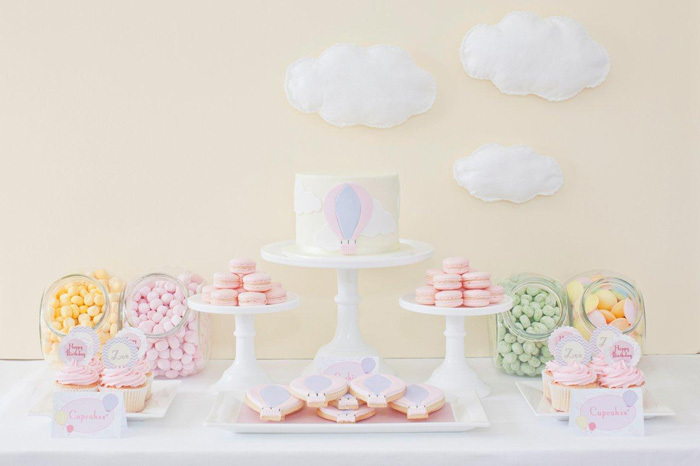 I’ve been gathering baby shower inspiration for years, so here’s some of my favorites. I love the monochromatic color palate of this shower with the sweet pom pom details. And how cute are those nesting dolls? The natural elements in this shower are so pretty. They sell big burlap drop cloths at the hardware store that could work as table cloths and those diaper pins? Adorable. I love the colors in this one. 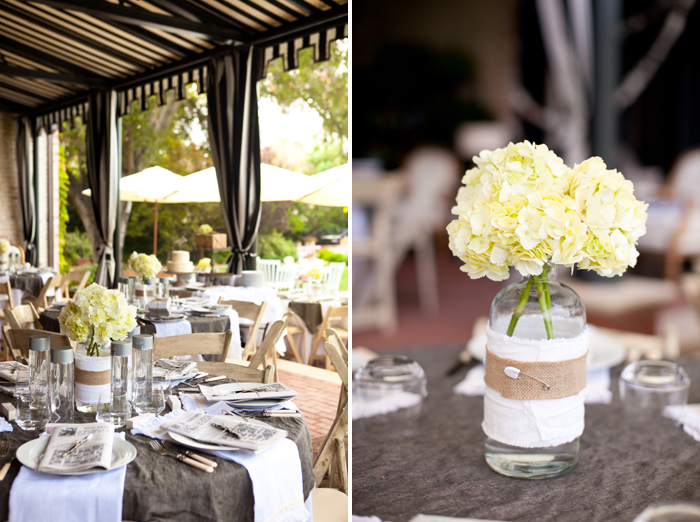 The garland and paper lanterns are so pretty! This one is so casual and elegant. I love the dishtowels as napkins and the mason jars as glasses. 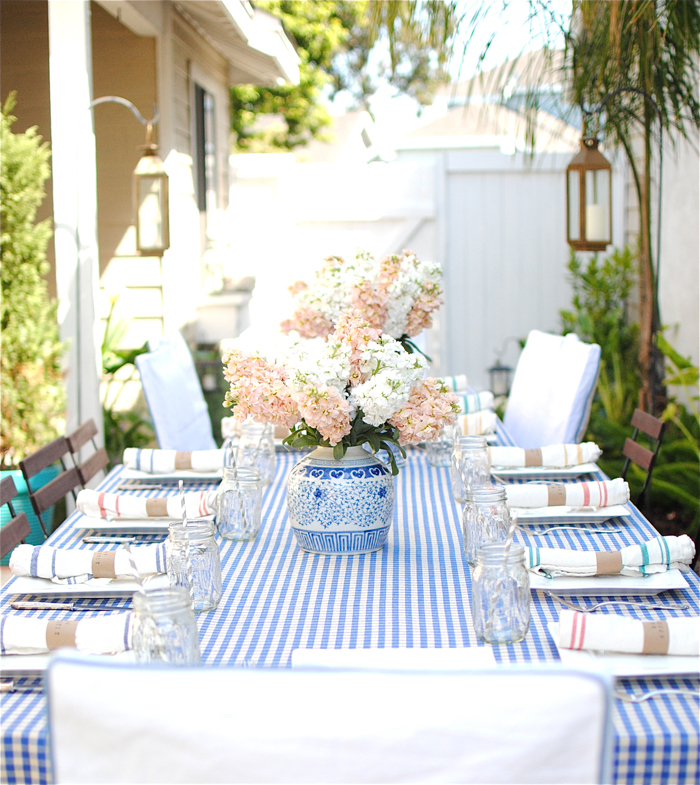 I have loved this gender reveal party for a long time. I think the craving snack bar is genius! 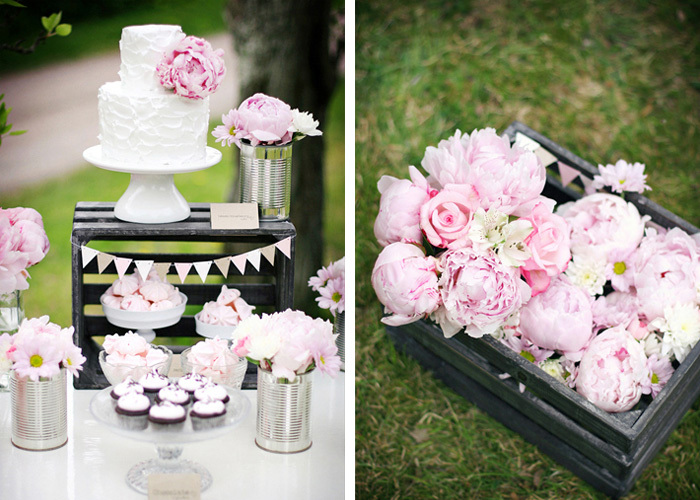 Peonies are my very favorite flowers. We had them at our wedding, but they won’t be in season for the shower. However, I love the tin cans as vases. This is the first of three hot air balloon inspiration pictures. I love this theme so so much. Look at those puffy clouds! I die. 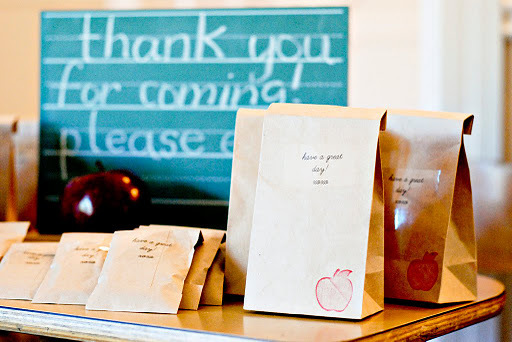 Since I’m a teacher, a school themed shower would be cute. I know I definitely want to use chalkboards in the decor to go with my weekly bump photos. 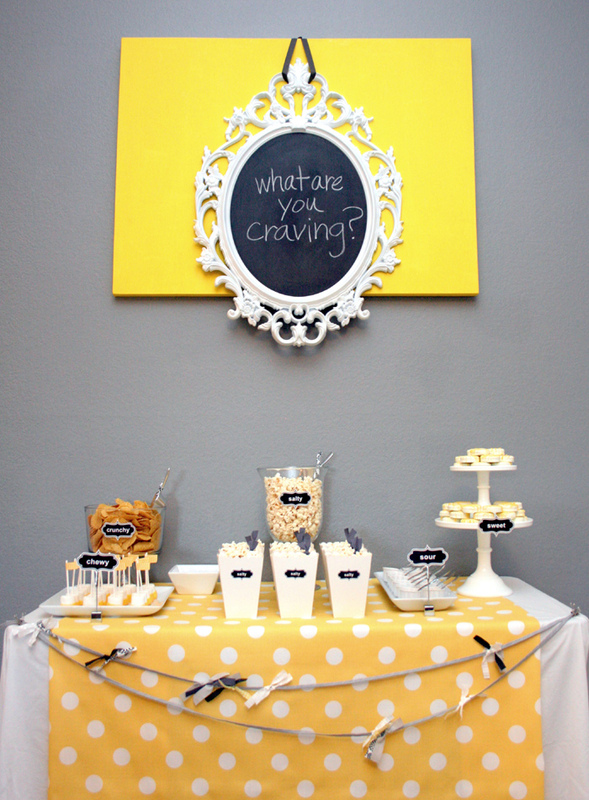 Another school themed shower with a vintage twist. Click the link to see the invitations. They’re awesome. Being a girly girl at heart, nothing thrills me more than pink as far as the eye can see. 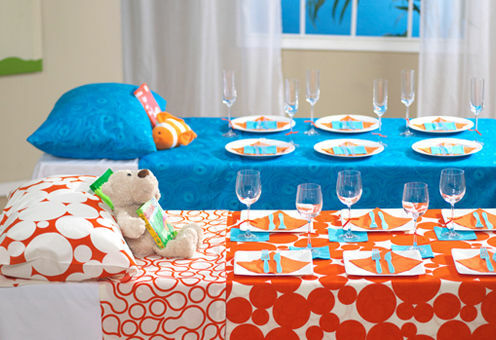 This bedtime story party is very unusual, but kind of awesome. I adore this garland with lines from lullabies. It would take some time to make, but it would be worth it. 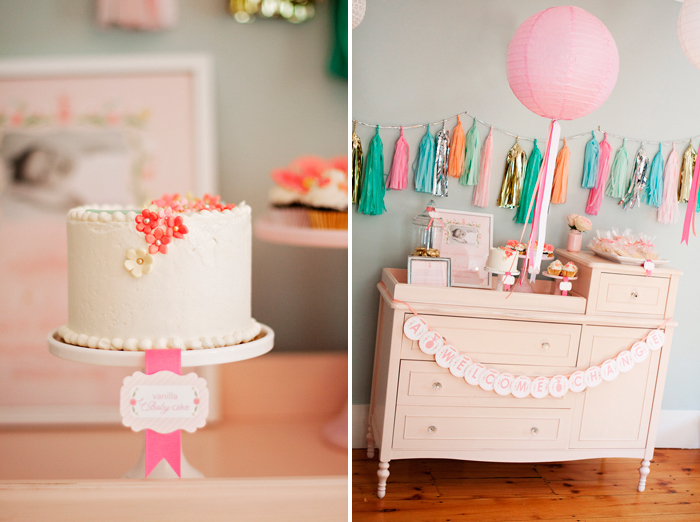 This is from a gender reveal party, but it would definitely work for a cool gender neutral baby shower as well. I love camping, but maybe not enough to have a camping themed baby shower. I do love the casual rustic decor, though. She’s about to pop! How cute is that? And a super cheap wall decoration with the colored plates that look like bubbles. Are you ready for my very favorite one? One that I’m totally copying? One from the one and only Martha? It’d called Once Upon a Baby Shower. I’m in love. I knew I wanted to do some sort of book theme since I need a lot of them for our wall of books in the nursery. The color palate of this shower could easily be changed for a boy, too! I love the books wrapped in paper and the garland. There are printable invitations and book plates that come with it, but I’m thinking about making my own. I could combine this with some of the other ideas I love, like the burlap table cloths and quote garland, and make it really special. Eeek! I’m so excited! @Amanda @ The Fix-Its So cute! Great job!! @Angela Oh good! I didn't have anything to do with my bridal showers (except a request for no cheesy games), so I didn't know if it was totally strange or inappropriate to be involved. Glad to know I'm not the only one who can't resist!